There’s no denying that Pennsylvania rockers Dr. Dog are at an interesting crossroads on their sixth studio album, Be the Void. Their steady, consistent rise in popularity seemed bound to increase almost twofold on their previous album Shame, Shame, but as it was met with average reviews, Dr. Dog continued on their path of predictable success. Their career reminds me a lot of other bands I adore: White Denim, Kurt Vile, Spoon — bands who have put out consistently great albums and maintain a strong and loyal fan base, yet all the while are unable to make the next leap in their career. And unfortunately, Be the Void does little to advance the band in terms of songwriting and overall aesthetic. Which isn’t to say this is a poor record; it’s actually enjoyable for many reasons, but if Dr. Dog are hoping to gain more listeners or breathe new life into their career, they’re sadly mistaken. As a long-time fan of the group, I’ve always had an easy time turning friends on to their music, but it rarely seems as though laypeople, or even people who actively seek out new music, stumble upon Dr. Dog. without fan intervention. I have a hard time trying to explain this phenomena, as their music is incredibly accessible, yet enough digging into their back catalogue can reward one with a great understanding of the band’s surprisingly intricate body of work. Be the Void fits this pattern all too well. Tracks like “Do the Trick” and “Lonesome” have their unique hooks, while others like “Get Away” and “Turning the Century” meander through four minutes of folk rock predicability. “Heavy Light” flirts with an almost Vampire Weekend vibe, a blissful, breezy pop song that puts an emphasis on the band’s percussion arrangement in a fun manner. But for the most part, Dr. Dog rely heavily upon their signature play between the guitars and the piano, a trick that has lent the band unmistaken attention since their debut record. Be the Void‘s first single, “That Old Black Hole,” captures the spirit of a gospel chant in a strange, roundabout way. Completely by mistake, as the track nears its end and the hand claps and tempo double upon themselves, “That Old Black Hole” begins to reach out the listeners and invites them into the band’s place of worship. These moments are littered throughout the album; they seem short and subtle, but on the third, fourth, and fifth listens of the album, they begin to reveal themselves and prove Be the Void to be a spectacularly devised record. 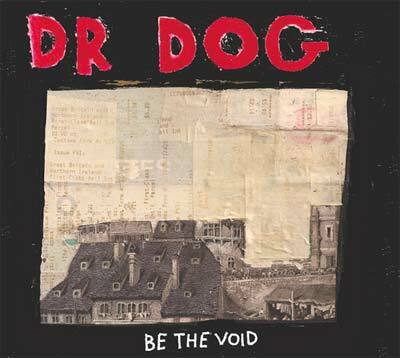 It might might ultimately take some fortitude to figure out what makes Dr. Dog different from any other Americana-drenched band out there, but with just enough attention to detail, Be the Void might get stuck on repeat for months to come. It’s neither groundbreaking or a disappointment, but it can easily be summed up, for better or worse, as good.